Contact us directly with any questions you might have. 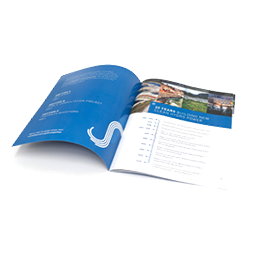 Assembling a booklet, program or manual can be a big undertaking. Delft Printing’s union professionals are experienced in the timely and efficient production of publications. No matter if it’s a simple four-page program or a larger publication, we offer complete layout and design services. Select from coated and non-coated papers. Print in 1-color, 2-color or full color. Choose from a variety of bindery options such as: saddle stitch, perfect-bound, spiral-bound, or GBC binding. Cover stocks are also available in a number of colors, textures and weights and can be embossed and/or foil stamped for added appeal. Three-hole punching is also available.